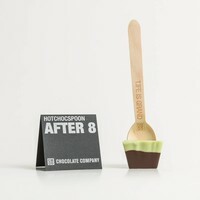 The Hotchocspoon After 8 is delicious at any time of the day. Pure chocolate with a hint of fresh mint .... yum yum yum! 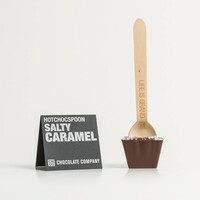 The Hazelnut Caramel is sweet and savory to the last drop! 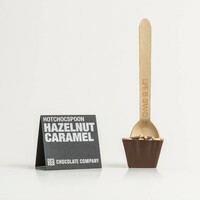 And then, if you think your glass is empty, you can finish the treat with a delicious roasted hazelnut. 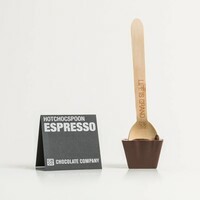 Coffee and chocolate go hand in hand with the Hotchocspoon Espresso , this is pure indulgence from the best cocoa beans. 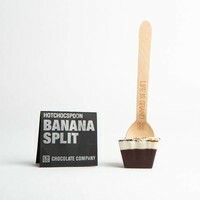 Yessss!! 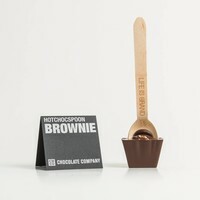 Full flavor chocolate brownie! 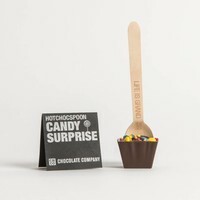 The Hotchocspoon Brownie is a hot chocolate spoon that simply makes you happy. Almond flavouring, decorated with paillettes de feuillantine.